It's just a little bit gloomy here today, with light sprinkles in forecast. Not a complaint, only an observation. Trust me, no Californian is going to turn down even a bit of rain. I have roses in full bloom right out my studio window and decided to cut some today to bring inside (nothing like fresh flowers, right?). I also had a set of the Mini Mason Jars and decided to test out some of the new Distress Paint colors on the glass to make some little vases for the roses. Perfect for my windowsill. I painted Cracked Pistachio, Fossilized Amber and Abandoned Coral directly onto the glass of each Mini Mason Jar. I found that if you paint about half the jar with the dabber top, and then switch to a brush, it is enough paint to cover the entire jar. Once you start moving the paint to the other areas, it starts to dry a bit and the brush strokes become less and less noticeable. Super easy. 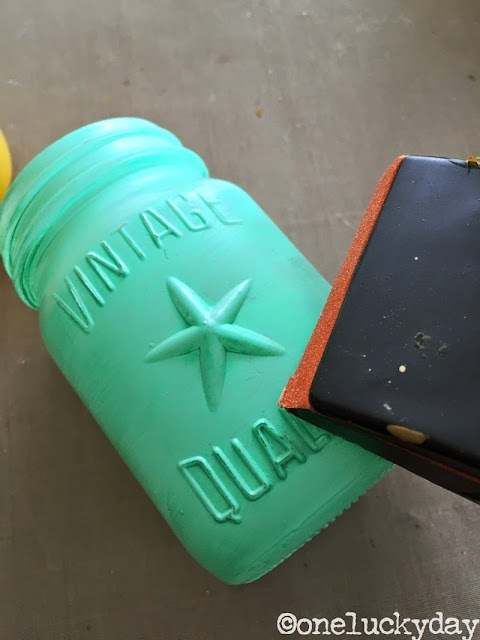 I left the jars to dry overnight and then in the morning I used the Sanding Grip to sand off just the slightest bit of paint over the raised letters. 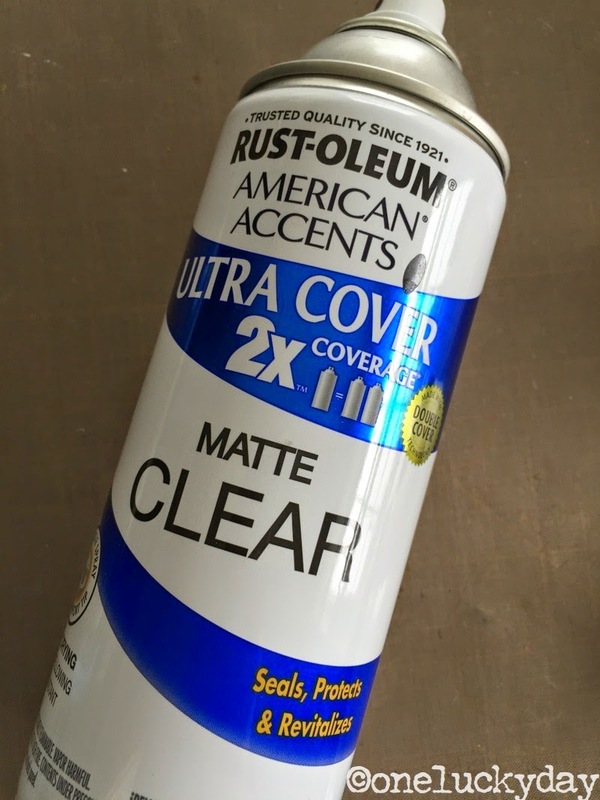 To keep the paint from scratching off the glass I sprayed each one with a coat of Clear matte finish from Rust-oleum. NOTE: you must spray in a WELL ventillated area, like outside!...smelly stuff but it works like a charm to seal the paint! Once dry, just add flowers! Easy and cute at the same time! I can't decide which color is my favorite! So stinkin cute Paula! Quick and easy too. Thanks for the inspiration. Love these! so sweet and great colors! 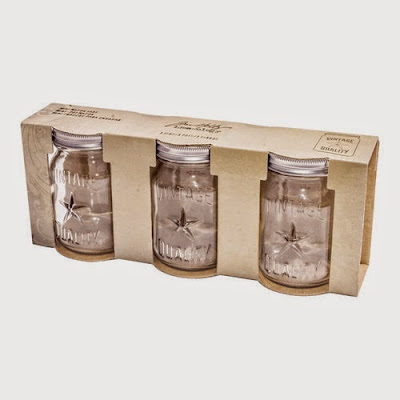 Great use for these little jars! Brilliant! I have the jars...I have the paint...now to get to work! Love them all! I just so happen to have a pack of these little jars. All I need is the clear matte finish. TFS Paula! You are so darn smart! I bet your house smells divine with the roses. 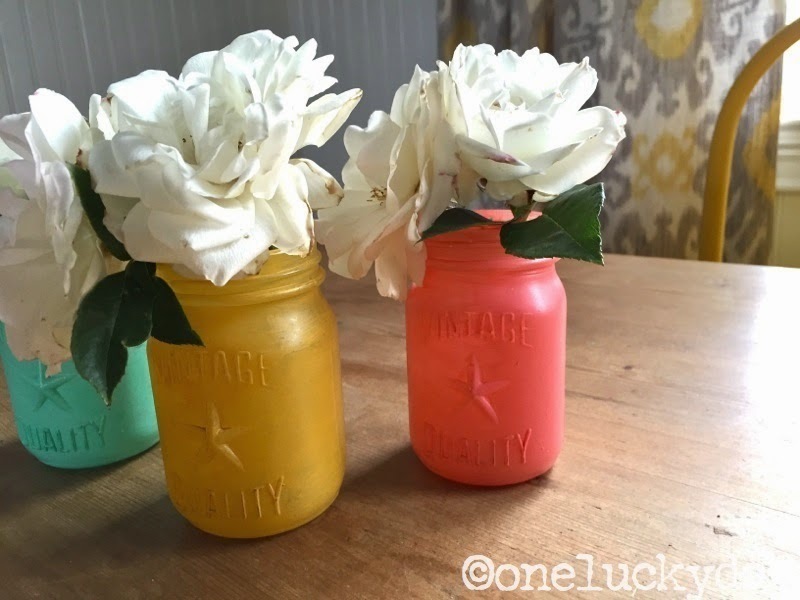 I made some of these last week with some thrifted Mason jars I snagged. 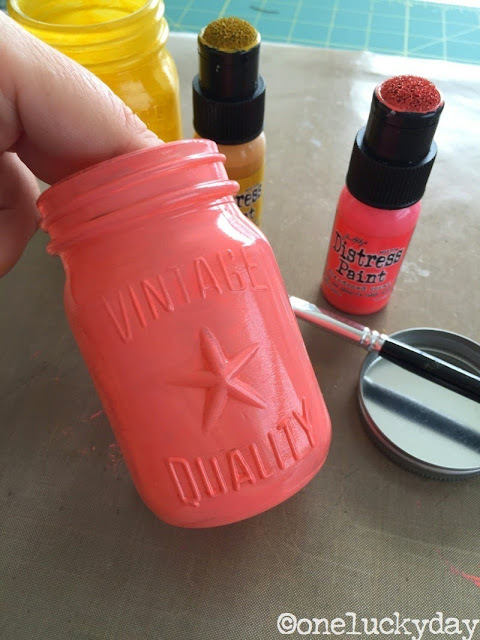 The unique matte finish of the Distress Paints made them perfect for the job...without having to buy Chalk paints. 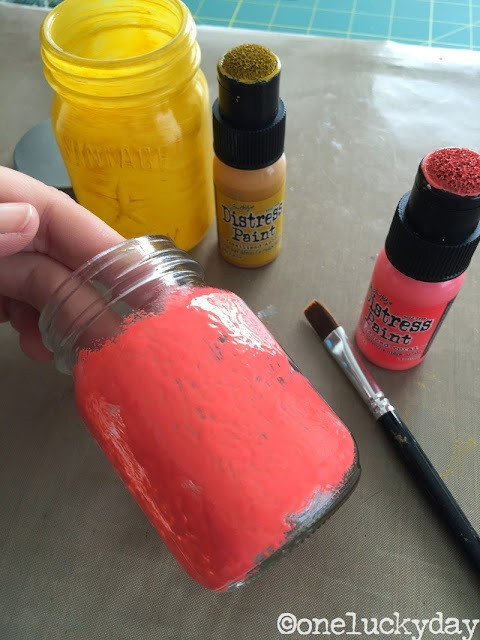 You get the same look with Distress Paints! Love that! I saw these featured on the Ranger blog today and just had to see how you sealed the paint. I tried Multi Matte Medium first but it still chips off, so I need to try your sealing technique. Your jars look fabulous with the roses in! 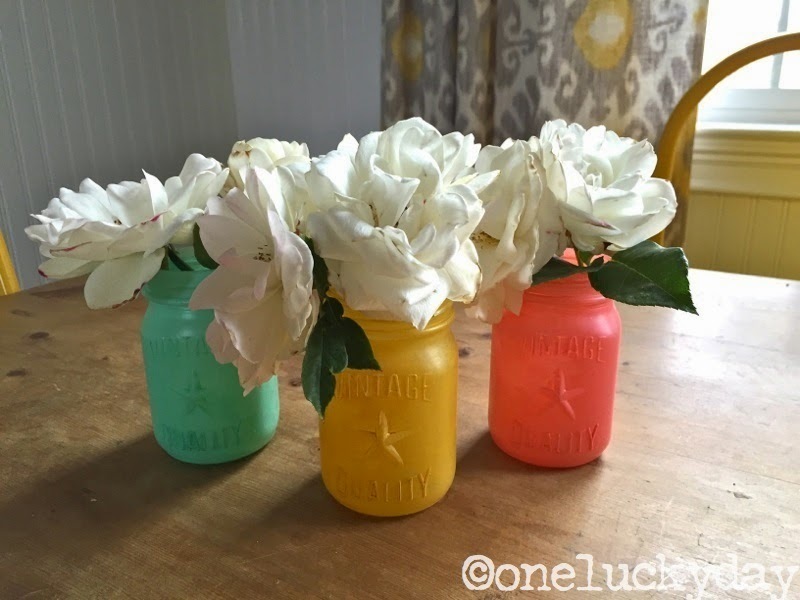 Love how you painted your jars...I love a matte finish over glossy. So pretty with your roses. The Amber Fossil is prettier than I expected!! Love these colors!